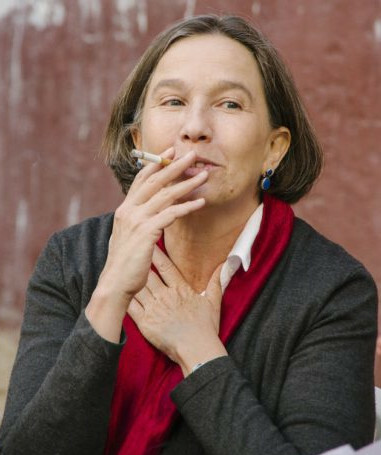 Raquel Gutiérrez Aguilar is Professor of Sociology at Benemérita Universidad Autónoma de Puebla. She has a background in philosophy, mathematics, and activism. Her research and activism engages with the experience of indigenous and peasant struggles in Latin America in the 1980s and 1990s, reframing them in terms of a “popular-communitarian” horizon in more recent social and political changes, including perspectives from Latin American feminism. Among her publications are ¡A desordenar! Por una historia abierta de la lucha social (Call to disorder: For an open narrative of the social struggle, 1995), Rhythms of the Pachakuti: Indigenous Uprising and State Power in Bolivia (2014), and Horizontes comunitario-populares (Popular-communitarian horizons, 2017).